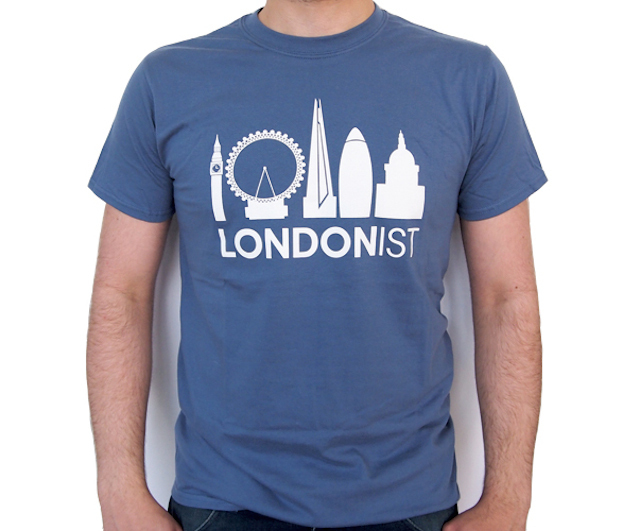 Get your new Londonist t-shirt here. Our online shop has been open a month now and we've recently added a shortcut from our Facebook page. Easy and quick to browse, you can share our items on your wall and show your Facebook friends what your favourite Londonist goodies are. We've started off with a selected range of products and our t-shirts have received many 'likes' from readers so far — indeed we sold out all the XLs. You can choose your unisex t-shirt in the shade of cardinal red or indigo blue. Order yours now for £20 (+£3 p&p, or you can collect for free from our Old Street office). So far our t-shirts have been worn by readers from Italy, USA and the Netherlands, as well as plenty of Londoners. 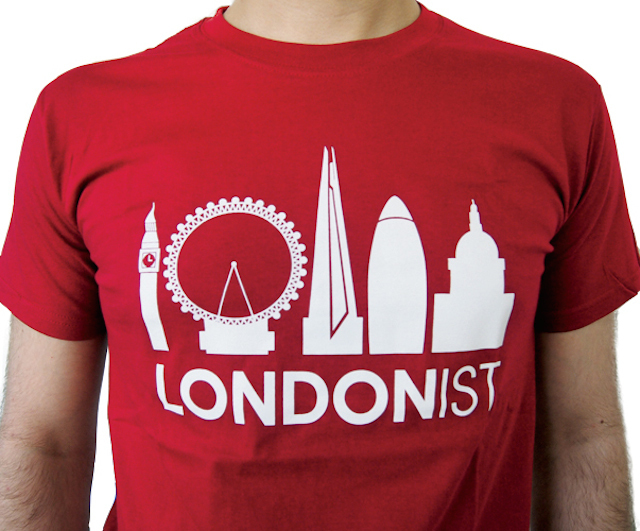 Profit from all shop sales will be ploughed back into Londonist so by purchasing our merchandise you are helping us to keep bringing you the best, most important, quirky and interesting London stories every day.